Supported by more than 30 years’ experience, Dr. Hartzell’s latest contribution is her new book, “A Wizard’s Guide to Study Skills” for middle school students in grades 6-8 published at Amazon.com. Evidence-based on learning research, the book gives students the tools they need to succeed in today’s increasingly competitive academic environment. Middle school students contributed invaluable feedback to ensure that this timely book is truly user-friendly. Earlier in her career, Dr. Hartzell designed and implemented a federally funded innovative and highly successful Reading Remediation Research Program in Oakland, Calif. She then served as a school psychologist for the Lake Washington School District. She was Director of Parent Education at Children’s Hospital Orange County while on the Clinical Faculty in Pediatrics at UC Irvine Medical School. She was a Psychologist at two VA Medical Centers and Clinical Psychologist for Kaiser Permanente. She currently runs the consultancy Kids Like Learning. She has a Bachelor of Arts in Psychology and a Master of Arts in Counseling Psychology from the University of California, Berkeley, where she was selected for Pi Lambda Theta. Her PhD in Counseling Psychology was awarded at the University of Oregon, where she was a Vocational Administration Fellow. In addition to a listing in Who’s Who in America, Dr. Hartzell has been featured in four editions each of Who’s Who in Medicine and Healthcare and Who’s Who in Science and Engineering, and 14 editions of Who’s Who of American Women. 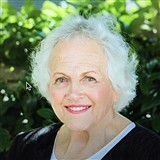 Dr. Hartzell has offered her skills extensively as a volunteer, most recently at the Center for Dialog and Resolution in Tacoma, Wash., as a certified dispute resolution and small claims court mediator.